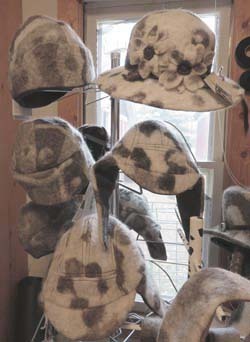 Mickey Ramirez of Fort Collins designs felted wool hats with spots, reminiscent of the Jacob sheep that provide the wool. On an acre of land just outside the northwest edge of Fort Collins, 15 Jacob sheep grow woolier by the week. You would never know they are there, though, as you drive by on Mulberry Street. They’re hidden from view behind the home of Mickey Ramirez and her husband John Pierson. If the sheep cared to look through a back window of the house, they might be able to see the hats that Mickey has made from the wool they were growing a year ago. All the hats have spots, just as all the sheep do. Made of undyed wool, each hat comes exclusively from the wool of one sheep for uniformity of color and texture. Just as all the sheep are different from each other, so are all the hats. Not every sheep on the lot contributes to Mickey’s hat making. It takes plenty of crimp and a minimum of kemp – coarse hairs that stick out in every direction – to be the kind of wool that Mickey can work into a rich, smooth felt. 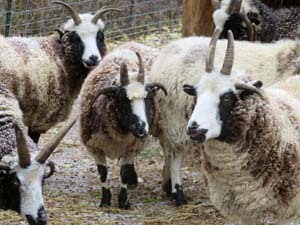 Jacob sheep are a heritage breed and haven’t been bred to eliminate or foster particular characteristics. Nonetheless, Mickey has a place in her heart for every sheep that she and John own. Fifteen Jacob sheep make up the flock owned by Mickey Ramirez and John Pierson of Fort Collins. These ewes, like the males, have two or four horns. In 1993, Mickey was wandering through the wool market held in spring in Estes Park when she came across a ram that had spots and four horns. He was unlike anything Mickey had ever seen . . . and she thought he was magnificent. She learned that he came from a flock of Jacob sheep east of Fort Collins, owned by Janine Fenton and former CSU professor Diane Fagerberg. Mickey and John, who had moved to Fort Collins from Long Island, had no experience with raising livestock. But when they saw the flock of Jacob sheep spreading out across a large pasture east of the Budweiser brewery, they were hooked. Their dream to own Jacob sheep became a reality in 1999, when they bought a home with sufficient land. They arranged to purchase six of the sheep, and Janine Fenton became their mentor, teaching them everything they needed to know about caring for their small flock. Today the oldest of the flock is 15 years old; the youngest is four. John and Mickey have sold the last of their rams, with the idea of eventual retirement for themselves and for the ewes. Had I not visited the flock on a cold, snowy day last week, I might have caught a picture of one of the sheep snitching animal crackers from Mickey’s pocket. I wonder how the four-horned creatures do that . 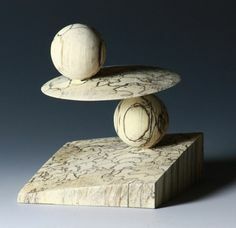 . .
A felted wool hat by Mickey Ramirez dries on a wooden form called a hat block. Cording holds it firmly to the block at the bottom and top of the brim. After Mickey and John started their flock, Mickey happened to meet Rita Smith, a milliner and Victorian dressmaker who lives up the canyon not far away. Rita taught Mickey how to make felted hats and honed the felting process especially for the texture of wool from Mickey’s sheep. In 2002, about three years after starting the flock, Mickey made her first hats on her own. Then, as now, it’s a long, involved process. The wool – shorn, washed and carded by seasoned professionals – comes back to her separated not only by each sheep’s name but also by color. The spots on her hats aren’t there by chance; Mickey plans the design of each one before the felting begins. 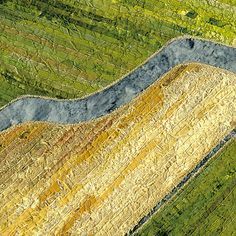 Microscopic barbs along wool fibers make felting possible. When treated and manipulated in certain ways, the barbs hook the fibers together. Mickey’s first step is to lay out the fibers first in one direction, then the opposite direction on top of the first. 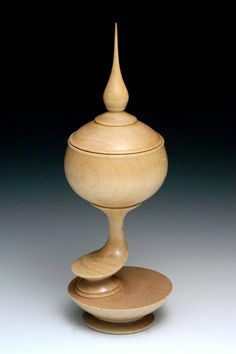 From a crockpot where a bar of pure ivory soap has dissolved in water, she ladles warm, soapy water onto the wool. The ivory soap activates the barbs so that they begin to connect with one another. Mickey Ramirez cuts open the edge of a hat part way through the felting process. A stiff piece of plastic separates two sides of the hat. A hat like the one pictured above has no seams even though it’s made with two layers of felt. 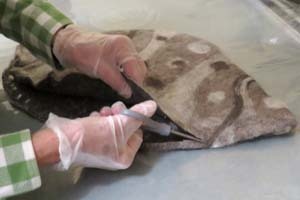 Early in production, a stiff plastic pattern separates the two layers except at the edges, where they become joined during the felting process. 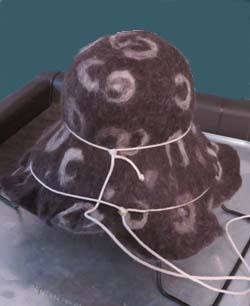 Mickey uses a small electric sander to force the fibers to join together while the hat is still flat, damp, and loaded with soap. The sander only contacts a piece of mosquito netting which Mickey spreads over the hat. When the netting resists pulling away from the hat, she knows the fibers have connected well. The layers are ready to separate with scissors along the brim edge, as you can see in the picture at left. 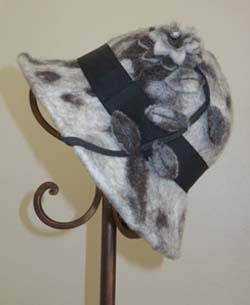 A flower and leaves made from felted wool decorate this hat created by Mickey Ramirez. The hat is far from finished. Mickey rubs it carefully between her hands to eliminate any signs of a fold. 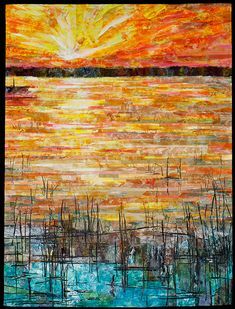 Then she rubs it for a few more minutes on a felting board, which resembles an old-fashioned washboard, until she recognizes the look of a fully felted surface. Finally she rinses it thoroughly in vinegar and water to remove the soap. Then there’s blocking, pressing, sizing, steaming, drying . . . But wait – there’s still sewing to do and maybe trim to add! When a hat comes off the hat block, Mickey removes the extra felt hanging from the edge and saves it to create flowers and leaves, like those you see on the hat pictured at right. On this style of hat, she folds the edge of the brim under and machine stitches it, enclosing a wire to keep the brim’s shape. 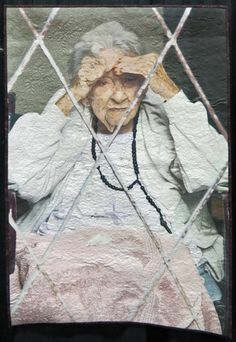 She stitches a band of grosgrain ribbon around the base of the crown inside in addition to the decorative outer band. Finally, she carefully sews on the trim. Whew! Now the hat is ready for sale! 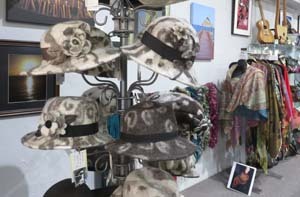 Felted wool hats by Mickey Ramirez are some of the wearable art at Rabbask Designs. Mickey playfully named her hat business Spotted Fever. Her website has an extensive catalog of styles to choose from. You can order directly from Mickey if you wish. 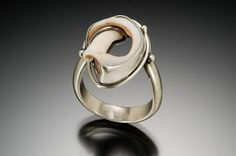 Or you can visit Rabbask Designs at 243 East Fourth Street in Loveland if you would like to try one on. Owner Jacki Marsh schedules generous hours for the shop through the holiday season. You can check the shop’s daily hours on Facebook. Rabbask Designs was featured in a post on October 29, 2014. That’s how I had the pleasure of learning about Mickey and trying on her hats. I admit I love hats — the one pictured above is hanging on my own coat tree. 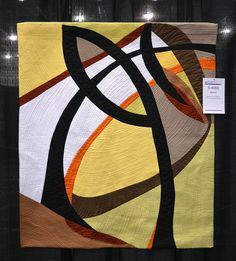 This entry was posted in Fabric & Fiber and tagged felted wool, hats, Mickey Ramirez, Rabbask Designs, sheep on November 19, 2014 by Sally. Very interesting and informativr articles.